Among the many aspects of audio recording that can affect your sound, the microphone preamplifier can be considered a crucial element in your arsenal. A preamp is the piece of technology that helps recreate the real sound of any instrument or recording that requires electronic conversion. This conversion can create a wide range of possibilities ranging from a warmer, pleasant sound to a harsh and distorted sound. The microphone preamp you use during your recording process is an integral element in your signal chain. We will be discussing what makes a great preamp as well as the best options on the market. A versatile preamp with bias settings and without the high expense. The circuitry offered within this hardware is second to none, especially at this price point. I am currently a student acquiring a bachelor’s of science in both audio technology and computer science at the best school in the United States for audio production. Apart from my studies, I have worked within our state-of-the-art studio to record, mix, master, and produce an assortment of records for all types of bands. In my spare time, I am working on a digital audio compressor, which can be related to several aspects of a mic preamp (digital to analog conversion, level control, dB manipulation). 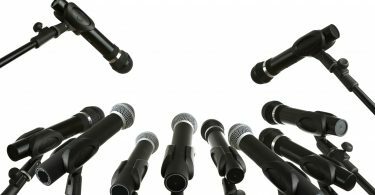 I have worked on a variety of audio-related equipment like microphones and loudspeakers, working on different schematics that are currently being reviewed. I have worked on experiments with connection between movement and MIDI information where movement is said to translate relatively well to a corresponding MIDI note. All of this has lent me to a firm knowledge and understanding of audio signals, equipment, and applications. A preamp’s task is to take any instrument or microphone and apply different types of sonic characteristics to the signal prior to full amplification. A mic preamp should usually be the first thing in your signal chain, prior to any compressor, reverb, etc. The microphone preamp used to be one of the only methods of molding a sound before any outboard processing capabilities were created. 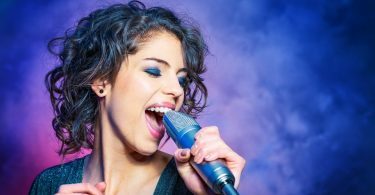 You can create a professional sounding record through a tedious and intentional placement of microphones and utilize the correct mic preamp. In essence, the microphone preamp is crucial to any intermediate to professional recording situation. You’ve Already Recorded Without a Preamp? Many musicians and engineers find themselves in a strange situation at this point. They have already recorded music or audio, but they have never used a preamp in their life. This is possible, and a great way to get into the audio world without investing too much money. Alternatively, without a preamp, your records will never truly contain the professional qualities found in “radio-ready” tracks. Your digital audio workstation contains a plethora of different options pertaining to virtual instruments, digital audio signal processing, and automation. In fact, your digital audio workstation excels at all of these processes and more. The problem lies within the complexity of the in and out signal processing. Your digital audio workstation can simply take in audio from your audio interface (which usually tends to have a basic preamp), but aside from inputting audio, manipulating, and outputting audio, the digital audio workstation is incredibly limited. In fact, the ability to render professional quality tracks will be close to impossible without accessing the intricate details of an audio signal. 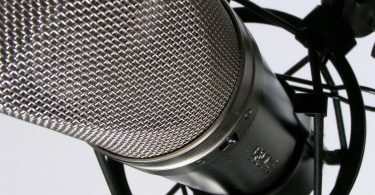 On the other hand, purchasing a solid mic preamp will allow you to modify your tracks to the way you see fit. Mic preamps can range from as low as $100 to as high as several tens of thousands of dollars (full-fledged mixing consoles). There is no need to purchase a high-priced mixing console if you are not working with several different kinds of bands on a daily basis. On the other hand, if you find yourself needing multiple preamps, buying a high-end mixing console will save you and more importantly, your client more time. For the purposes of this article, I will assume you can record track-by-track if necessary. A mic preamp will give you a tailored recording if you’d like, instead of buying all of those tracks, you have a tailored track whenever you desire. Disclaimer: if you have a low budget, opting for an audio interface and minimizing outboard gear will be your best option. There are no specific types of preamps. However, each preamp is designed to accomplish a specific job. With the introduction of a few Coloring audio: Preamps that Acommonly used audio terms, you will understand the task behind each preamp. There are two main jobs for a preamp, color and transparency, and either one (or slight amounts of both) of these qualities can be found in almost every song on the radio. As the name suggests, the goal of a preamp that provides a transparent signal is to reproduce the instrument of microphone signal exactly as it sounds. The preamps in this category are used by engineers and musicians who desire the “old-school” sound, without loads of audio processing and manipulation. Advocates of these preamps tend to explain that the goal of the recording studio is to reproduce the exact sound of a live performance. Instead of molding a sound, you are trying to maintain it. For example, when I worked with a classical orchestra, I opted for a transparent preamp sound because the goal isn’t to create an unexpected sound. People who listen to jazz or classical music aren’t expecting anything but the transparent instruments. Alternatively, preamps that aim to color the audio signal are used when the audio signal is meant to be affected. As the name suggests, the preamp that adds color do not necessarily change the essence of an audio signal, they provide further coloring to the track. Color can be understood best when used in the context of a dry and thin signal. In fact, I usually place preamps that add color in the signal chain of my overhead drum microphones. This is because cymbals can usually come out to be quite thin and dry. Adding color to instruments like this will produce a more vibrant, exciting, and sometimes over-the-top audio signal. Engineers who utilize these types of preamps tend to belong to the rock, hip-hop, and pop genres. The type of preamp you integrate into your recording tends to be controversial when working with a big team (producer, songwriter, band, engineers, etc). The problem with this is the lack of a clear answer determining the best practice. When you work on your recordings, remember to serve the song instead of your ego. There is no true winner. However, when you are dealing with the aforementioned genres like jazz and rock, the best practice is usually to use a transparent and a coloring preamp in these recordings respectively. The best way to choose which preamp will suit your recording is to trust your ears. In many ways, this is the only way to achieve a truly transparent audio signal. 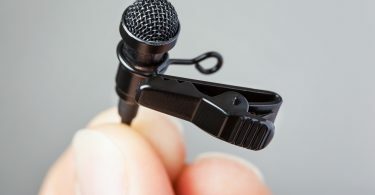 As soon as you press record, the microphone, cables, audio interface, computer, and speakers, will all change the sound coming from your instrument. The preamp must be viewed as a tool to create whatever you are envisioning for your recording. Another way to categorize a preamp is based on its circuitry. The two main offerings are solid-state preamps and tube preamps. Although it may sound trivial, the sound produced by these preamps are vastly different. Solid-state preamps, like solid-state hard drives, have become popular due to the technological discoveries of the past two decades. The solid-state preamp is given this name based on the way the transistors are utilized within the preamp. The transistors on the board of a solid-state preamp, are optimized because there are virtually no moving parts within the motherboard. The main benefit of these preamps in comparison to tube preamps is the minimal levels of distortion as the audio signal is pushed to the limit. The optimization of transistors provides for smoother level increases and faster processing power. Lastly, due to their optimization, these types of preamps can accept higher levels of audio input, achieving a higher maximum gain in relation to a tube preamp. One might ask, why would you want to purchase a tube preamp if solid-state preamps are so optimized. Tube preamps are to coloring as solid-state preamps are to transparency. The older technology within tube preamps (thermionic tubes or vacuum tubes) provide for a significant amount of colorization to any signal that uses this preamp. The tube preamp is known to provide deeper bass frequencies, smooth high frequencies, and warmer mid-range frequencies. This style of preamp was heavily used in the ’60s and ’70s which is one reason why those records sound so different in comparison to modern records (heavier distortion, less clarity). The tube preamp, in contrast to the solid-state preamp, is not as capable of producing minimal distortion as the audio signal increases. As you begin to push the audio signal, there will be noticeable Coloring audio: Preamps that A change in the signal regarding distortion at different frequencies. The beauty of this distortion is that it tends to remain in the first-order and second-order harmonics (known as the musical harmonic frequencies). This method of producing distortion is often considered better than utilizing a distortion plugin or outboard processor. As the name suggests, these preamps will provide a smooth medium between the tube and solid-state preamp. Instead of intense colorization, you will retain transparent qualities with minimal colorization. A relatively new technology, digital preamps are hard to give a general description of. Before we had software like Pro-Tools and could manipulate audio digitally, we didn’t have processors that were fast enough to work with audio and thus, we were limited to our level of manipulation. Currently, we have processors that can handle audio data at an ever-increasing power. With this power, we can choose to do absolutely anything with the audio. A digital preamp will take the analog signal and convert it into 1s and 0s (otherwise known as binary), in an effort to allow the computer to understand the signal. The digital preamp will then modify the signal to, however, the preamp is programmed. Digital preamps are varying in their application. Generally, a digital preamp will be used as an audio interface in an attempt to minimize the necessary outboard gear. However, with the digital capabilities given to a digital preamp, it is important to understand the intended application. As the name suggests, these preamps are intended for a specific instrument. One will usually find an instrument specific preamp for electric instruments like the electric guitar. These preamps tend to simply convert line level signal into mic level signal. Much like the debate between utilizing a preamp that adds color or retains transparency, the transformers within a preamp are a topic for debate. The one factor that will determine the type of preamp is without question, the transformers within the preamp. The transformer is tasked with converting signal between the input and output phases of recording and playback. Any integration of a transformer will add color to the audio signal. Alternatively, transformerless preamps (which tend to be more expensive) will provide the clearest, purest sound to any recording. There is no clear way of determining the best preamp on the market. I have made my choices based on price, quality, and effectiveness. The ART Pro MPAII is one of the best mic preamps on the market today and at a price that will leave many astounded. Usually ranging between $200-$300, the ART Pro is affordable for any musician or audio engineer. The MPAII is a tube designed preamp with one tube on each channel and an impedance level that minimizes any noise created by the machine itself. The preamp offers phantom power for use with condenser microphones and can be used as an outboard preamp with every type of audio interface ranging from a beginner two in/out to a full-fledged mixing console. The versatility of this product shot this preamp to the top of the list. The circuitry offered within this hardware is second to none, especially at the price point. My favorite feature is the integration of two different tube bias settings. This bias setting can be viewed as the distinction between a “normal” and “high” setting in regard to the level of power used by the tubes. The normal setting is used when you want to utilize the tube preamp in the normal fashion of introducing color to the audio signal whereas, the high setting is used in an attempt to replicate a solid-state preamp where noise, color, distortion, and saturation are minimized. 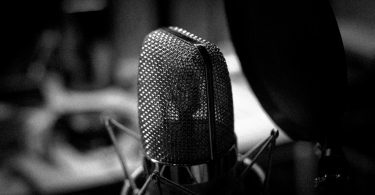 I have used the Pro MPAII on the high setting for vocals, and it is absolutely brilliant. The Art Pro MPAII is a great value product for any musician or audio engineer who wants more for their recordings. 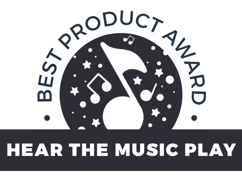 This product is the best on the market because it can be viewed as a hybrid preamp without the high expense that comes with that type of product. The two channels, settings, and the great audio reproduction places deems this preamp as the best mic preamp on the market today. As the name suggests, this preamp is a four channel solid state preamp. The Alpha VHD is a great preamp because it comes with an assortment of capabilities, including but not limited to, its 4-channel input, far-reaching control over its harmonic distortion feature, phantom power, hi-Z switches, and a -20dB pad for any hard-to-handle signals. Although it is expensive ($900-$1199), the amount of processing capability and versatility presented by this preamp is astounding. Presonus is a huge manufacturer of various audio applications, hardware, and software. Their audio interfaces are an incredible value, and this one is no different. Although it is not solely a preamp, this digital audio interface contains 8-channels complete with 8 class-A mic preamps. Because it is digital audio preamp, you can assume that this machine will produce a great signal, with a high dynamic range, and still provide an extended amount of capabilities. The Presonus D8 is perfect for any musician who wants to extend their capabilities (perhaps move up from a 2 channel to 8 channel interface) while integrating high-quality mic preamps into their arsenal. The D8 can be found for $350-$450. Behringer is another big name within the audio industry. However, they are known for their high-quality and budget level hardware. The Behringer Ultragain PRO Mic2200 is a great hybrid preamp that features two onboard parametric EQs, a 12-dB high-pass filter, one tube for a “tunable” experience, and a bandwidth encompassing 2Hz-200kHz, allowing you to capture any audio you need within and outside of the human hearing spectra. The Behringer Ultragain is incredibly affordable, ranging from $50-$125. From the same manufacturers who produce the best mic preamp, the ART TubeOpto 8 preamp can be considered a less powerful mic preamp with more channels available. This preamp is great for the same reasons that the aforementioned Presonus preamp is great. This preamp offers expandability to the audio engineer or musician who requires more from their arsenal of audio. The TubeOpto 8 is a tube preamp that offers 8 class-A preamps on each of the 8 channels, a digital audio I/O capability (it can be used as an audio interface), and an input pad, phase switch, and low-frequency roll off on every channel. The ART TubeOpto 8 can be found for $370-$400. 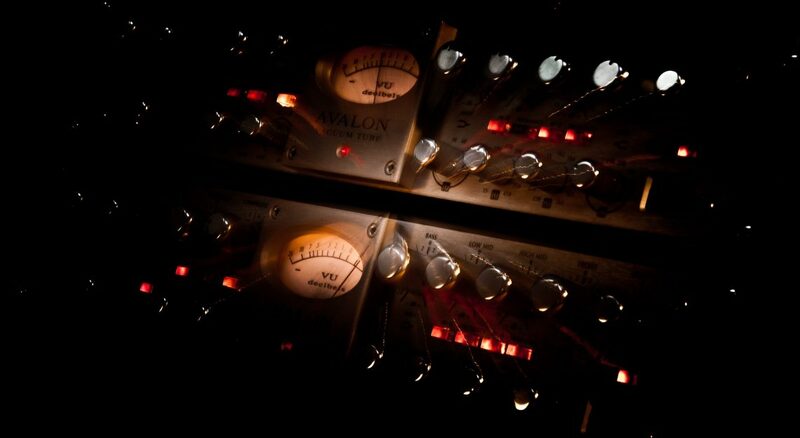 Last on our list is the Avalon M5 transparent preamp. The Avalon M5 will help your vocals or acoustic instrument go from bland to professional just by including this hardware in your signal chain. 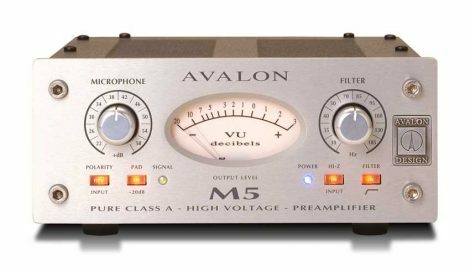 The Avalon M5 is perfect for any audio engineer who is looking for a preamp that values transparency over all else. The circuit is designed to minimize noise at high levels of gain. Instead of focusing on EQ and compression, the Avalon team brought a preamp that truly focuses on bringing out every detail of a recording, no matter how small. Unfortunately, the Avalon M5 is usually priced between $1500-$2000.